Books remaining: 14. 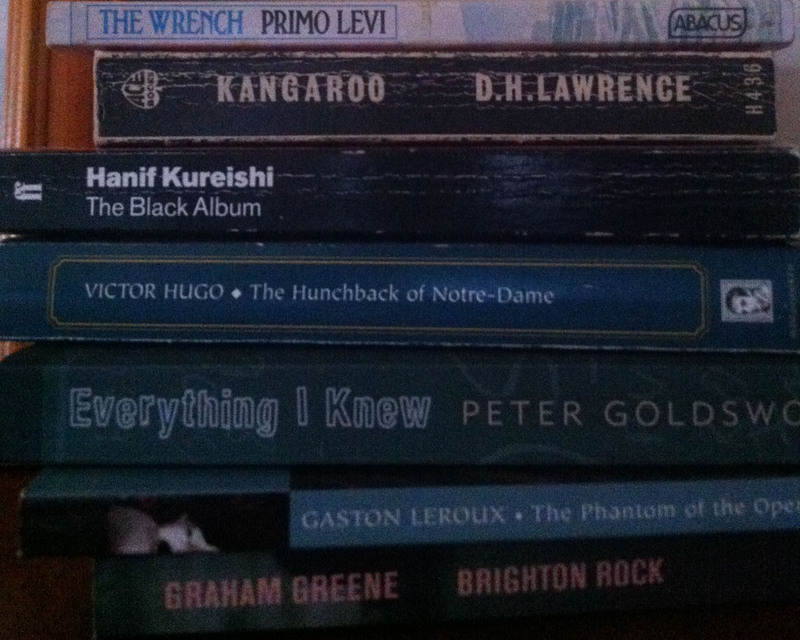 Weeks left to read them: 23 (I blame Christmas). Even from the brother there is no comfort in the bad hour, in the dark at the foot of the wall. Got to keep it real if these are allowed to stay. 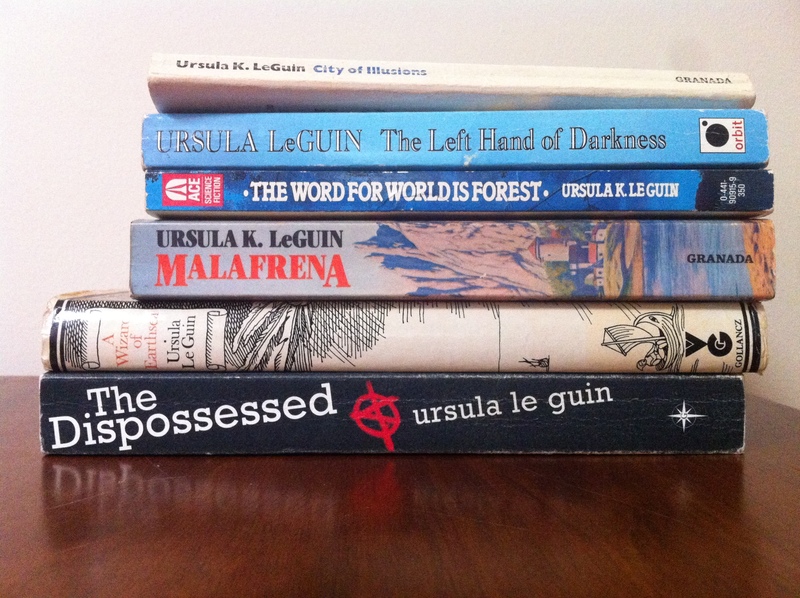 I have loved Le Guin since I read her A Wizard of Earthsea, which got made into typically beautiful Studio Ghibli film Tales of Earthsea. I know I have been doing a lot of sci-fi in this project, but I have numerous Le Guin books, so I thought I had better get stuck into them to see if I still wanted her taking up valuable shelf real estate. 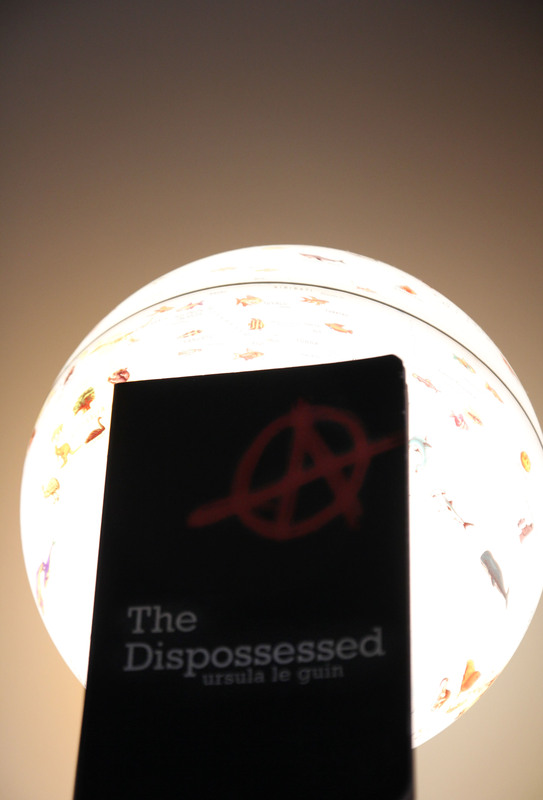 The Dispossessed tells of two planets, Urras and its moon Anarres, first populated when a group of anarchists decided they wanted a socialist society without government, law, property or profit. On Anarres, they dreamed, humans would contribute voluntarily to achieve common goals for the good of all, and they voluntarily broke away from Urras. There is now little contact between the two – eight spaceships a year exchange limited goods, news and publications – until Shevek, Anarres’ most brilliant physicist and a man renowned on both planets, accepts an invitation to be the first Anarresti to visit Urras. There, he will work among his peers and teach for a period at an Urrasti university. 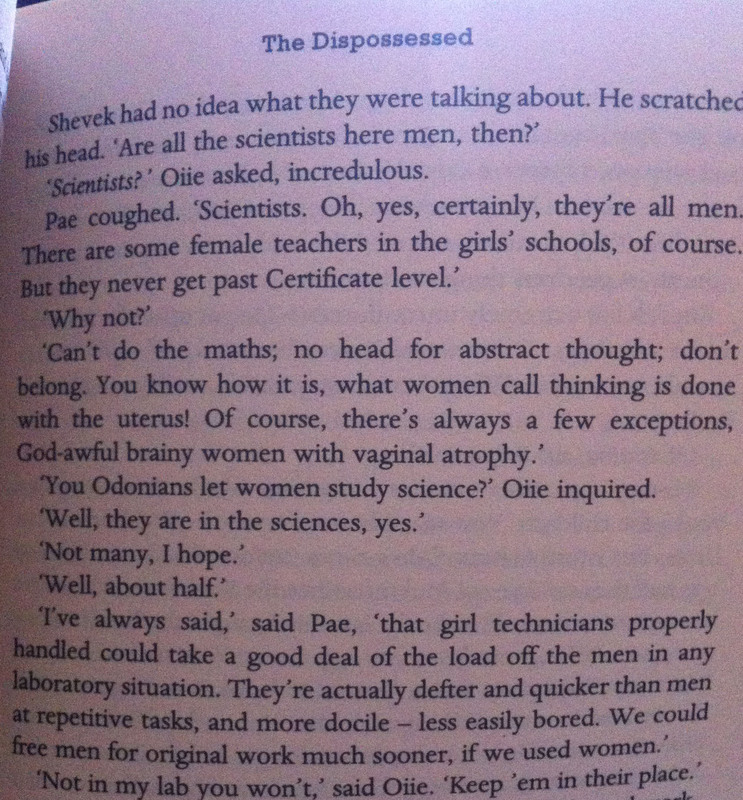 Shevek, though he loves Anarres and his family, is frustrated by not having other brilliant physicists to talk to (I know just how he feels, obviously) and decides to make the journey, both in a desire to develop a scientific theorem that could revolutionise both worlds, and in a belief he can unite the two societies and bury their mutual distrust. Shevek, however, soon realises that just as he never quite fit in on Anarres, neither does he fit among Urrasti, and his difference begins to weigh heavily upon him. He had worked hard on his speech, a plea for free communication and mutual recognition between the New World and the Old. It was received with a ten-minute standing ovation. The respectable weeklies commented on it with approval, calling it ‘a disinterested moral gesture of human brotherhood by a distinguished scientist’; but they did not quote from it, nor did the popular papers. In fact, despite the ovation, Shevek had the curious feeling that nobody had heard it. Shevek slowly begins to see beneath Urras’ beautiful surface and realises he is not an honoured guest, but a prisoner ill-equipped to deal with an all-powerful government that has him entirely at its mercy. His mission is not only impossible but dangerous, and he has made a terrible mistake in coming to Urras. The loneliness, the certainty of isolation, that he had felt in his first hour aboard the Mindful, rose up in him and asserted itself as his true condition, ignored, suppressed, but absolute. Reading this book was like slipping into a warmed pool of water. There was no discomfort, no reluctance, no resistance, just delicious ease and forward motion. And yet it is not bland, but suffused with droll humour in its depiction of people, worlds apart, but trying to understand each other. Scorn and anger running through many of the scenes on Urras, where woman serve purely as decorations, is also illuminated with humour. The prose is soaked in political and philosophical ideas, but its simplicity and humanity mean it does not lecture. It is no morality tale, but a story of infinite subtlety and a piercing contemplation of loneliness. The world had fallen out from under him … he had always feared this would happen, more than he had ever feared death. To die is to lose one’s self and join the rest. He had kept himself, and lost the rest. 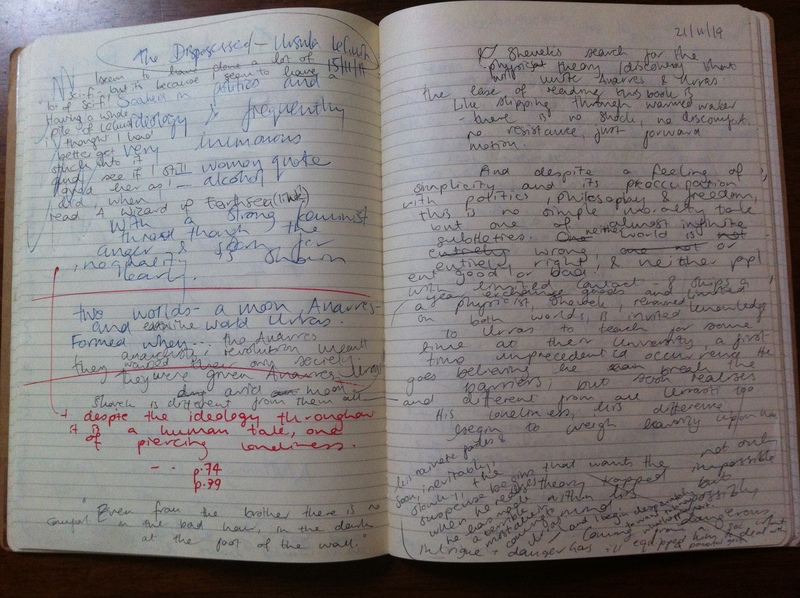 I was thoroughly overstimulated, as you can see from my rabid note-taking, and overcome by relief at reading a truly compulsive book again. Keep or kill? Look, I’m keeping it, but I got rid of this pile of L books and surrounds to assuage my guilt (kept all the Le Guin ones though). Note: This is one of several excellent titles I have read from Gollancz’s Sci-Fi Masterworks series, for example, Flowers for Algernon by Daniel Keyes, Dune by Frank Herbert, The Hitchhiker’s Guide to the Galaxy by Douglas Adams, The Invisible Man and The War of the Worlds by H. G. Wells and I am Legend by Richard Matheson. For more titles in this series, click here and particularly, if you have not read I am Legend, banish the movie from your mind and fill the space you made with the original, readable and infinitely more meaningful novel.